Real-user metrics are far superior to purely technical metrics when triggering alerts. 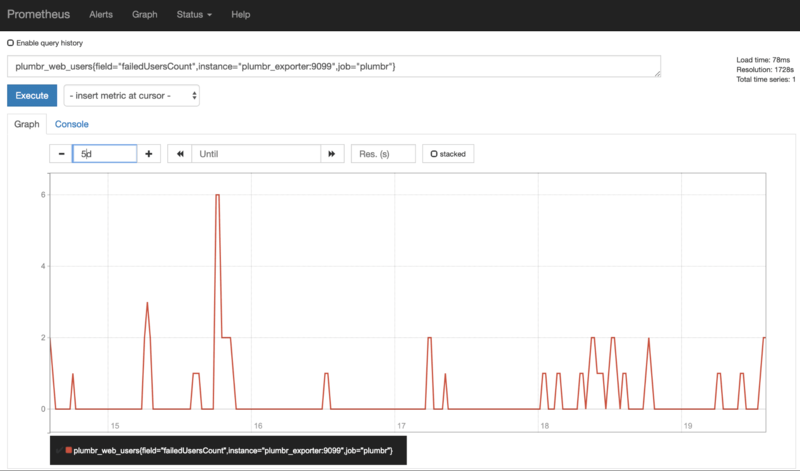 For example, increased error rate for end users trying to login gives an instant feedback on the impact, compared to a randomly failing database query. 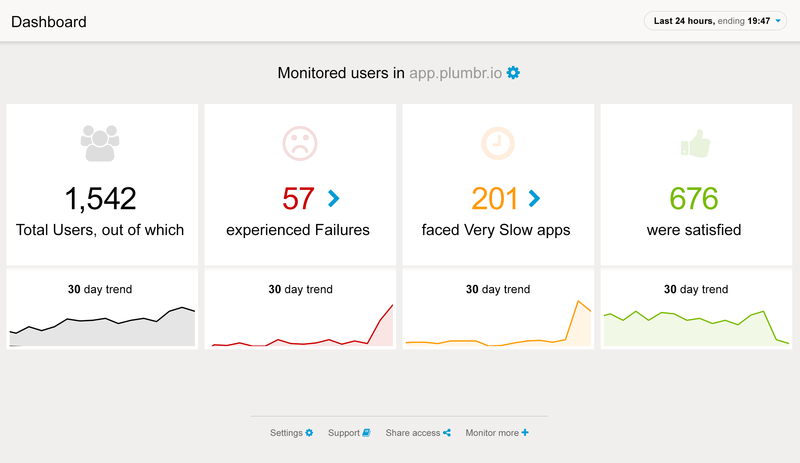 Scrape real user metrics from Plumbr with our ready-to-use Prometheus exporter. Customers complain but there are no alerts? Technical metrics triggering too many alerts and creating alert fatigue? 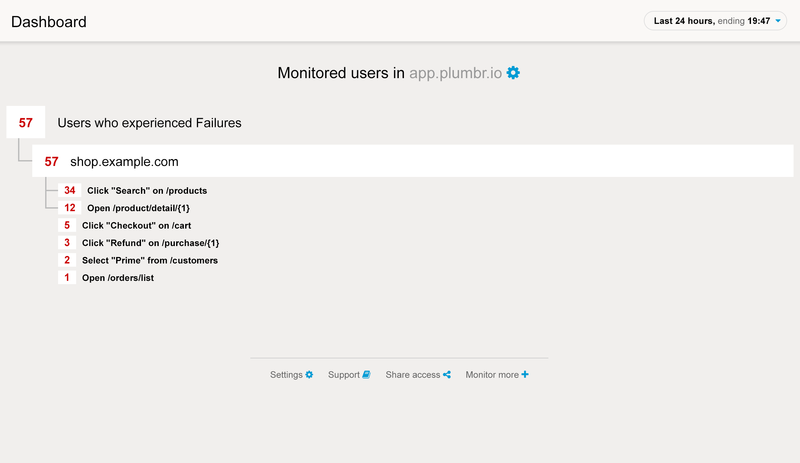 Use alertmanager from Prometheus and real user metrics from Plumbr to get notified about new errors or increased error rates experienced by your actual users. Not all functionality on a site are equal – some are mission critical and some are not. Get alerted and act ASAP for most critical failures. Use ready-to-work configuration examples to customize the integration. Every failure triggering an alert is traced to its origin in source code.